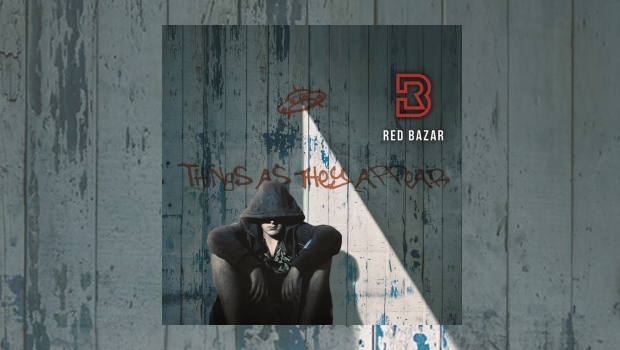 In these unsettled days Red Bazar return with the rather timely album Things as They Appear, which casts a critical observational eye on some contemporary issues. Red Bazar were one of Progressive Rock’s ‘Surprise packages’ in 2016 with their rather more Gothic, and first vocal, album Tales from the Bookcase, largely based on stories by diverse writers such as Arthur Conan Doyle, Alistair Maclean and Arthur C. Clarke. Things as They Appear is a distinct contrast and progression, more direct and grounded in style and content, more reflective of some of the current frictions in society. “Feels like we’ve come to a real fork in the road, the parting of the ways. Red Bazar are an assured band, confident enough to pull off the feat of adding musical power and heft to the same basic rhythm and melody without feeling the need for fancy deviation. This is a track imbued with regret and frustration and as the volume rises Peter Jones comes in with a writhing synth solo which, probably appropriately, fades away – after all, who knows where this is all going to end? This song promises to be particularly effective live on stage, where Red Bazar really excel. 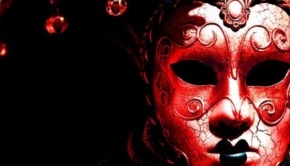 Things as They Appear begins with the rousing and impressive Temple, premiered to great acclaim at the Winter’s End Festival in April 2018. It grabs the listener straight away with a fanfare of keyboards and electric guitar, driven along lithely by Mick Wilson’s bass playing. The lyrics are focused on fake religious leaders and demagogues and the way they manipulate their congregations and audiences… and there’s plenty of them about these days, aren’t there? Peter Jones has a great voice for characterisation and his spoken interlude as the leader is chilling, followed by an imaginative off kilter guitar solo by Andy Wilson, reflecting the distortion and corruption implicit in the main character. It’s an outstanding song and as an album opener it’s a real killer track. 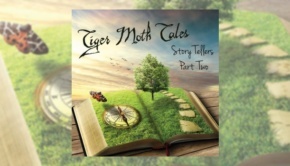 Liar underlines the theme of the album with some finely played keyboards from Gary Marsh, carrying the melody initially before the piece becomes decidedly heavier and darker in the refrain. Andy Wilson elevates the song with a flowing guitar solo in the latter stages, but like so much of this mature album this is done with restraint to serve the song and not as flash self-indulgence. Rocky Bone Runway is a showcase for Red Bazar’s vocal harmonies over strong and fluid melodic rock. Comerie shows his adaptability, switching from thumping out a heavy rock beat to a more subtle rhythm with great touch. Andy Wilson really takes off with a soaring guitar section as the song drives to a captivating conclusion. Final song We Will Find You provides some dark humour (very dark!) as Jones casts his lyrical spotlight on the over censorious. Wilson screams in with some towering guitar chords before the foreboding rhythm kicks in and the song crawls into sinister action. Mick Wilson’s rumbling bass superbly supports Jones’ whispered, menacing vocals, which have echoes of Peter Gabriel’s classic Intruder. This final piece slouches away with Gary Marsh’s atmospheric keyboards, characteristic of the skilful and understated manner his keys and effects add colour and subtlety to the whole album. Red Bazar show their versatility and musical chops as half way through Future Song shifts gear fluidly, rising in tempo and power. Jones throws in a scintillating, rippling synth solo, which Andy Wilson then takes up on electric guitar. It’s a dramatic rock song with a real punch. Like so much of this album, this is more subtle than one might realise on first listen as a lovely vocal refrain conceals a darker side, and the music similarly moves from the gentler pastoral opening into gradually more shadowy territory. Gary Marsh excels with a spiralling, sinuous echoing synth solo over Mick Wilson’s subtle flowing bass. The whole band join in, underpinning Marsh’s inspired solo as the song rolls forward ever more menacingly towards an appropriately fading conclusion – how else would a spiral end? Red Bazar have bravely taken a different direction from their last album – this is no sequel to the fine Tales from the Bookcase. Whilst they touch on important issues of our times, they have very wisely chosen not to take a partisan or obvious political position. Instead they stand outside observing the negativity and deception which has infected modern day politics, communication and public debate. Their music conveys their perspective with skill without feeling the need for overly ornate flourishes. 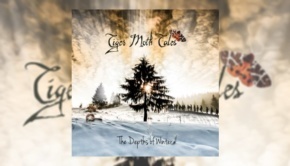 This is an impressive melodic ROCK album for our times, direct and accessible in sound, but filled with subtlety and insight. 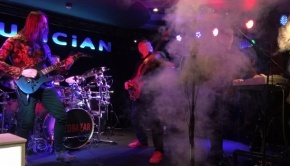 Red Bazar have already produced one of the albums of 2019.